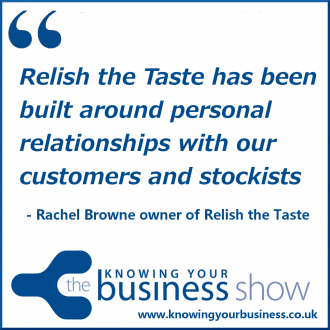 Rachel is the owner of Relish the Taste. A Cheltenham based family business which specialises in the production of award winning handmade chutneys, relishes and pickles. And what an enthusiastic interview this turned out to be. We heard how passionate Rachel is about growing fruit & vegetables & getting the kids involved. Rachel also tell us that all recipes are produced using traditional methods of preserving and are free from artificial flavourings, colours and preservatives. Seasonal fruit and vegetables are home-grown or locally sourced wherever possible. Hear this first little 1:55 second snippet of the back story. 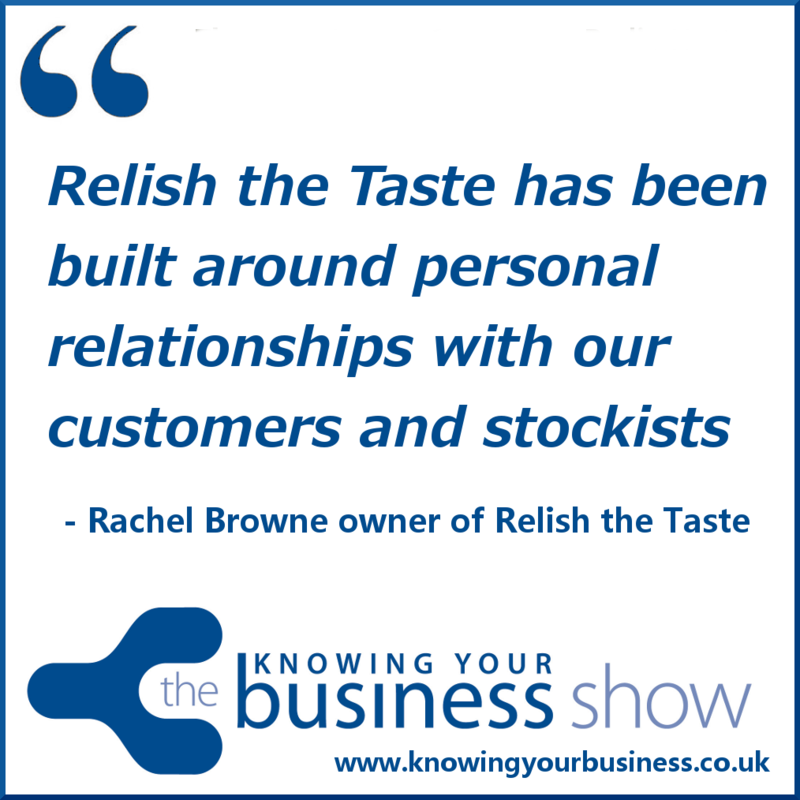 Listen to the FULL interview with Relish The Taste founder Rachel Browne. It’s rather good. If you have any questions for Rachel or would just like to leave a comment, please do.